My instagram is like my visual diary - it's so personal and such a great way to keep in touch with my viewers. Instagram has been a part of my life for awhile now and I would like to share with you a few tips + tricks that worked for me and I hope you're inspired by the things I mention. 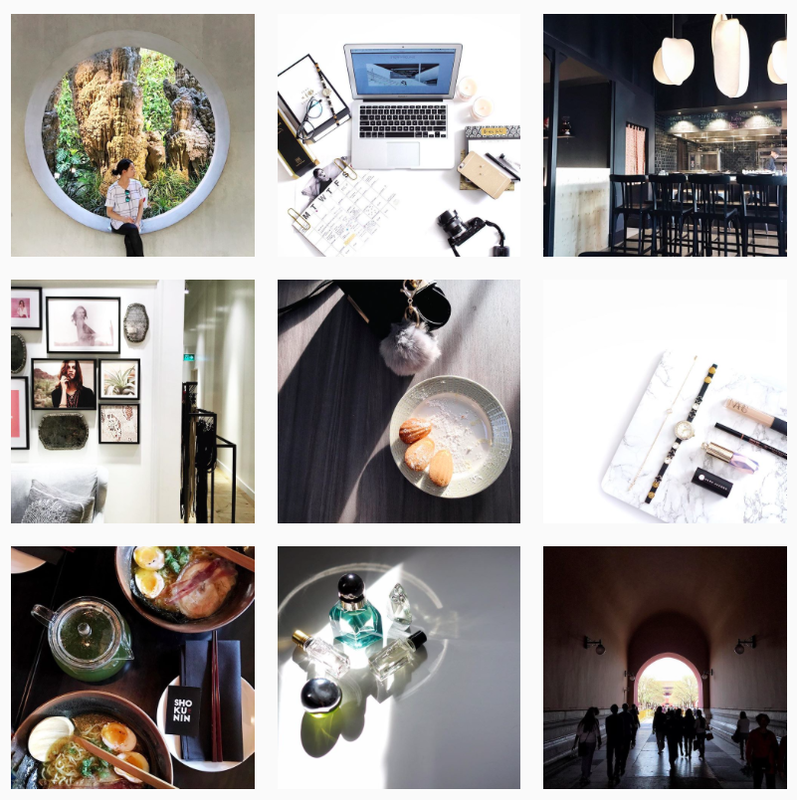 - An instagram works really well when the theme or niche is consistent. There's something about keeping the picture quality similar that appeals to the eye while having different sizes/shapes could tend to look messy. - Posting consistently engages the viewer to look back and see what's new. I like to post flatlay, fashion and food pics so I'll post those pictures in a pattern instead of posting, food, food, fashion, flatlay, then food. This way it looks more interesting to your viewers. - Always keep all horizon line straight in your photos - it's much more appealing to the eye when it's straight then when it's slanted to one side. - And don't forget to engage with your audience. It's my favourite time of day when I reply to comments on instagram. It's such a cool way to interact with friendly instagrammers. And it's important to engage because they put their effort and time out to comment to you - it's just the right thing to reply right? So always engage and let your viewers know that you appreciate their comment.